Using abaca, cotton rag, and kozo fibers, Papermaking for Printmakers will introduce printmakers to some of the best fibers for woodblock, etching, and combination printing techniques that utilize chine colle. This is a one-day workshop spent in the wet paper studio. 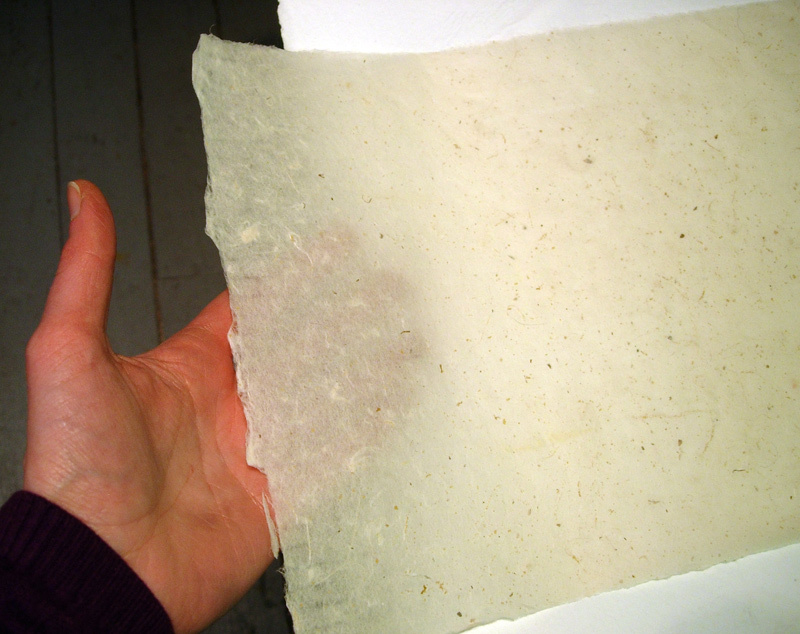 Students will make up to 10 sheets of handmade paper ideal for various printing techniques. Simple Watermarks will explore the basics of how a watermark is made in paper. Using finely beaten colored paper pulps, students will design their own simple watermark and have the option of couching the watermarked sheet on a white cotton support. This is a one-day workshop, spent in the wet studio, and will introduce students to the methods and materials of Western papermaking and watermarking with stencils. Students will create up to 10 sheets of handmade paper, including blank sheets. Join me for an off-site adventure along the Delaware river to gather this year’s supply of local Kozo and Milkweed. I have been tending a grove of paper mulberry plants for the last three years, and you can be a part of this year’s harvest of this beautiful local and sustainable fiber. Bring loppers or hedge clippers. We’ll be outdoors for several hours. Learn about how kozo fiber is prepared for papermaking! Everyone is welcome to help hand-process our kozo fiber, which will be harvested in December. Main tasks: stripping bark from steamed branches, scraping outer bark with a sharp knife. All participants interested in learning how to make paper from Philadelphia kozo, will receive a $25 discount on February’s Kozo workshop! In this one day papermaking workshop, students will learn all of the steps in kozo fiber preparation, get an introduction to the unique methods and materials of Eastern style hand papermaking, and how to form the diaphanous and STRONG sheets of paper made from this lustrous and local fiber. $25 discount on this workshop for anyone who attends Kozo Preparation on January 10th. This is a one-day workshop spent in the wet paper studio. Beginning with the mold and deckle, students will learn the basics of Western hand papermaking: the tools and materials used, the properties of various paper pulps, the art of pulling sheets of paper, and embedding objects such as thread, ribbon, found text/images, or natural plant materials in our handmade papers. We will create up to 7 blank sheets of beautiful handmade paper from cotton and abaca fibers, some with inclusions (embedded objects). These papers, once dry, can be used for bookmaking, printmaking, drawing, or they can be finished works of art on their own! High shrinkage abaca with wooden and wire armature. In this one-day workshop, we will use high-shrinkage flax and abaca fibers for sheetforming as well as stretching over basic armatures. When working with these pulps, students can make extremely thin, strong, and translucent sheets of paper, ideally suited for embedding 2-dimensional imagery. These pulps are also prized for their ability to shrink as they dry, creating a taut, smooth surface when the paper is applied over an armature. Students will form 2 dimensional sheets of paper and be guided through constructing basic armatures of their own design. All necessary materials will be provided, but students can also bring their own materials to incorporate. **Registration and payment for this workshop is being handled by The Soapbox, and the link above will take you to The Soapbox website. Despite its 1200-year history, Islamic world or Arab style papermaking techniques are not well understood in the West. In this 1-day workshop students will experience the unique steps involved in Islamic papermaking — learning how to dye dried sheets, as well as surface sizing and burnishing. Participants will take home a selection of papers made during the workshop. Radha Pandey will guide students in how these beautiful multicolored, smooth, burnished sheets are produced, and provide insights into the history and culture behind them. Radha Pandey is a papermaker and letterpress printer from New Delhi, India. She earned an MFA in Book Arts at the University of Iowa Center for the Book in 2014. She traveled extensively to investigate Islamic papermaking techniques in India between 2012-14 as part of her studies, and has since undertaken her own research on the essential tools of Islamic-style papermaking including moulds and chapri weaving. Her expertise also includes traditional textile hand-printing in India, and stop-motion animations in paper. Her artists books are held in public collections including the Library of Congress and Yale University. Currently, Radha is the Studio Coordinator at the Morgan Conservatory in Cleveland, OH, where she is developing Islamic-style papers for applications in book arts and conservation. This workshop is for those folks who are familiar with the papermaking process, and just want a day to make all the paper their heart desires! I will provide 3 different paper pulps — cotton, kozo, and abaca–, along with additional vats for any mixing. If you want to register for this class, but have a request for a different fiber, please e-mail me, or make a note of it when you register. In this two-part workshop, participants will learn the process of making paper by hand beginning with the plants themselves growing at the Schuylkill Center. On day 1 of our workshop, we will take a walking tour of SCEE’s grounds to identify and collect specimens of various invasive plants suitable for papermaking. Bringing these back to the classroom, we will learn how the fibers are prepared before being beaten into paper pulp. On day 2, students will spend half the day forming sheets of handmade paper from our collected plants (this is a wet process! ), and in the second half of the class, we will use premade sheets of plant paper to sew into our very own handbound books. In this one-day workshop, participants will learn about native-agressive and non-native invasive plant species growing in the Philadelphia area and how to make paper from them. We will begin with an introduction and identification of collected plants, learn about their preparation before becoming paper pulp, and using these fibers we will make a variety of handmade papers. Some experience with hand papermaking is recommended, but beginners are encouraged as well. It will be a fun day of experimentation with texture, color, and of course smell. Engage your senses! 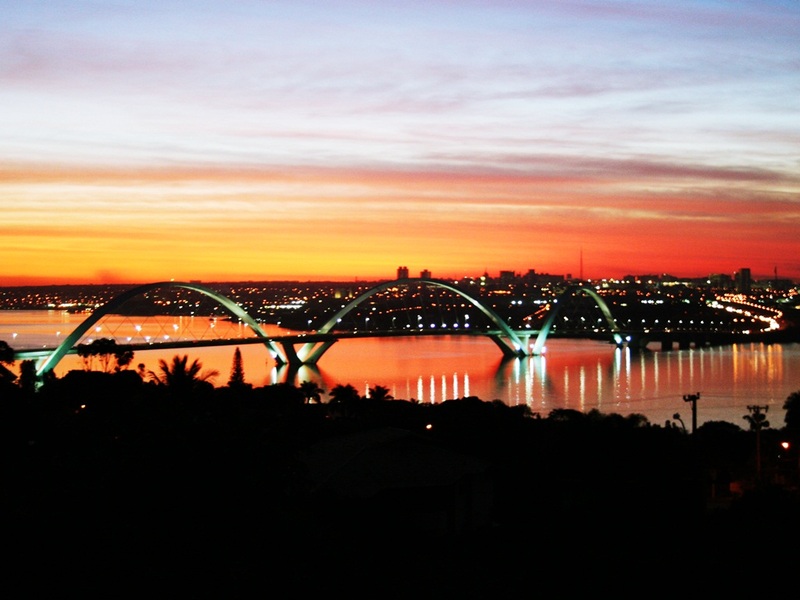 The IAPMA 2016 Congress takes place in Brasilia! Papermaking with Plants from Greensgrow! This class takes place at Greensgrow Farms, 2501 E. Cumberland St.